2015 isn’t just any year - it’s deemed to be one of the hottest years for hiring. Reports indicate that your companies will be adding talent at a rate that outstrips your budgets and will put you in some tough sports fending off competitors. This means that the way you used to get things done just won’t cut it anymore. To outplay the competition, you need to set a direction for yourself and your team. But, don’t just think of it as a plan of action – why not make it a resolution? Inspire your team to make changes that will set you up for success and have you patting yourself on the back come 2016. 1. 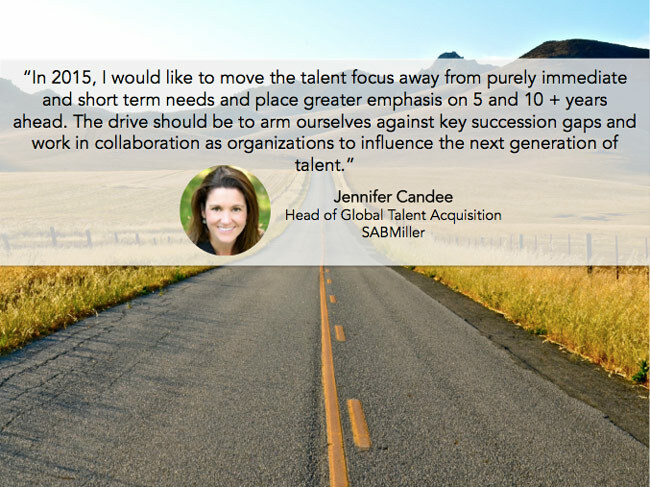 Jennifer Candee plans to move her teams focus towards future needs and prepare for challenges ahead. 2. 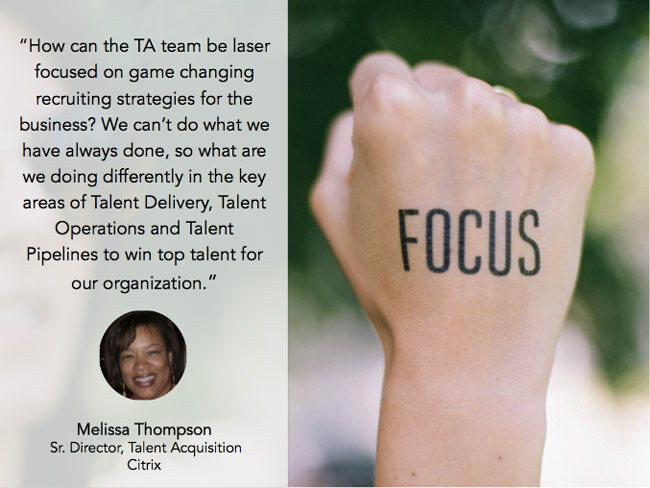 Melissa Thompson aims to focus her team on generating new and improved talent strategies that will win top talent. 3. 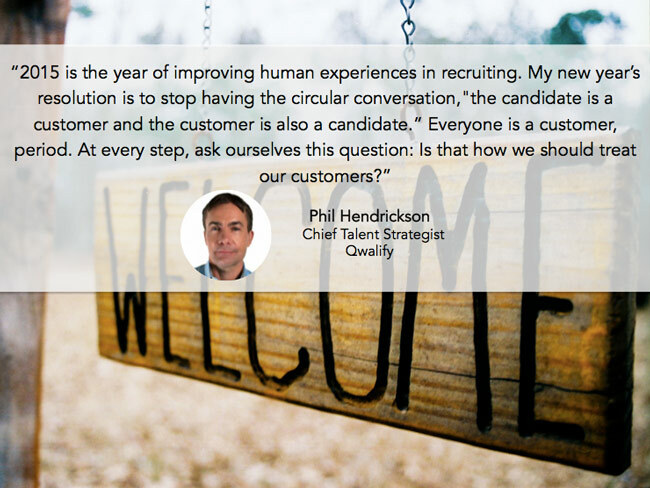 Phil Hendrickson resolves to improve candidate experience by thinking of everyone as a customer. 4. 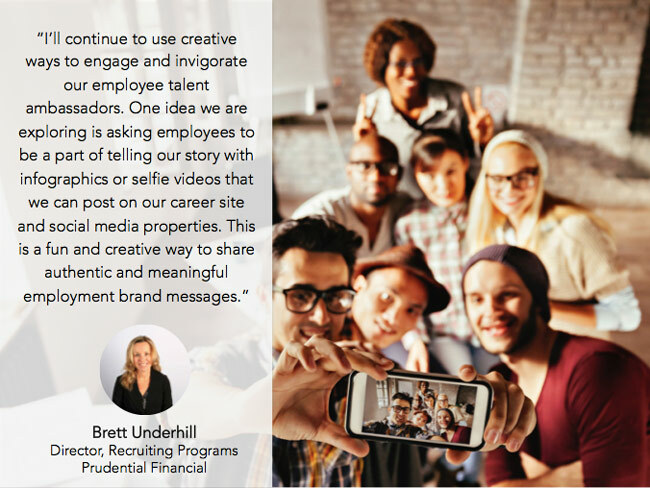 Brett Underhill will continue to develop new, fun ways to inspire employee talent ambassadors to tell the company's story. 5. 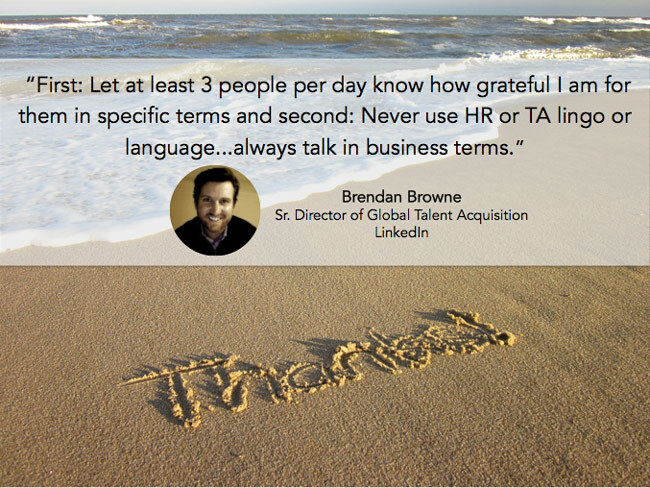 Brendan Browne will show at least 3 people he is grateful for them everyday and steer clear of industry lingo. 6. 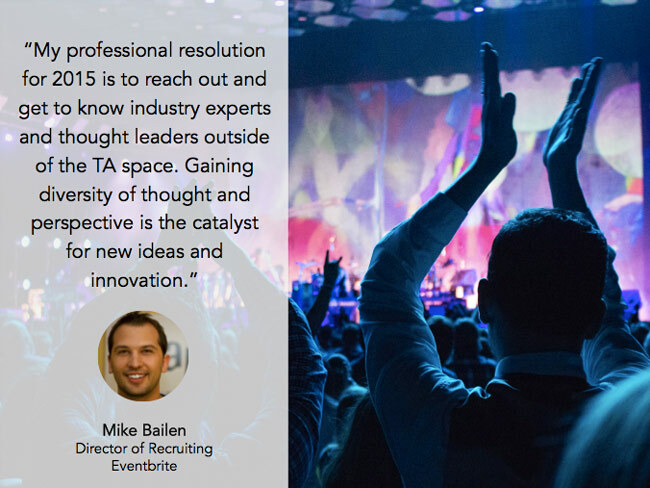 Mike Bailen will reach out to industry experts to gain new insights and spark new ideas. 7. 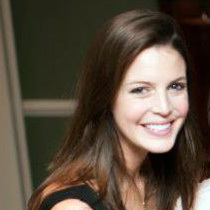 Rob Dromgoole will attend carious conferences to better understand the niche areas that influence recruiting. 8. 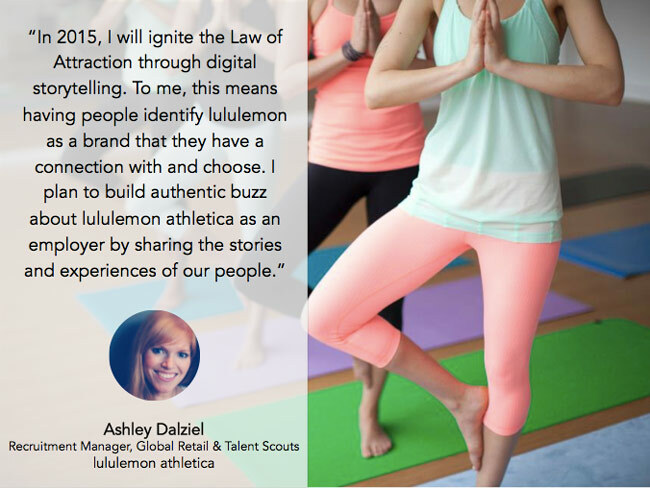 Ashley Dalziel will strive to create authentic buzz around the lululemon brand through digital story telling. Now it's your turn. Think about the biggest challenges your team will face this year and what you can do to overcome these obstacles. Go forth and conquer!